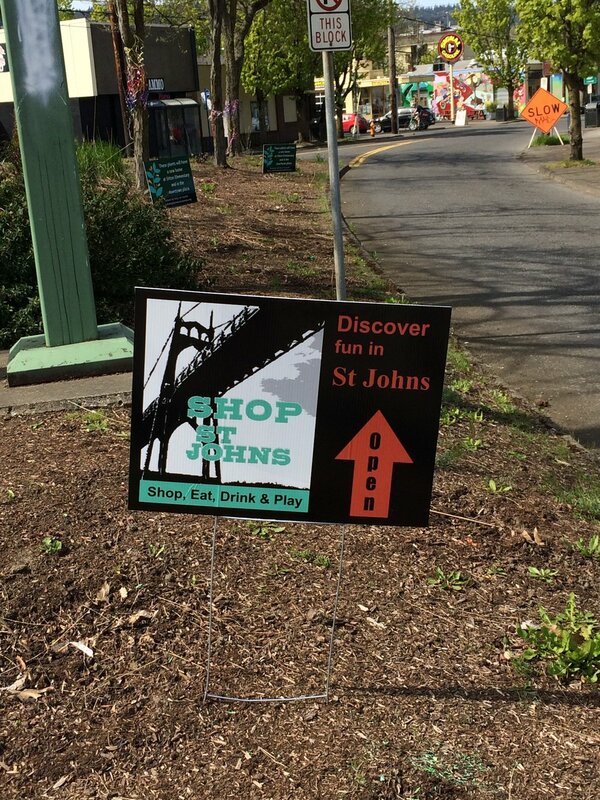 The Micro Promotional Grant program will provide approximately $2,200 in matching funds to businesses in St. Johns. Each applicant will be eligible for up to $500 in funding to support business promotional efforts. St. Johns Center for Opportunity will administer funding between now and the end of April 2019, on a first-come, first-serve basis. Also, we are really interested in funding promotional efforts that do not include an event component. We are open to funding innovative and collaborative promotional events, but feel like our neighborhood is fairly event-heavy as is. Any small business owner who runs a business in St. Johns may apply for funding. However, more than one business must be included on the application (with a minimum of 2 businesses). While the primary applicant must be based in St. Johns, the other participating businesses do not need to be based here. We encourage cross-promotional efforts with other business districts.